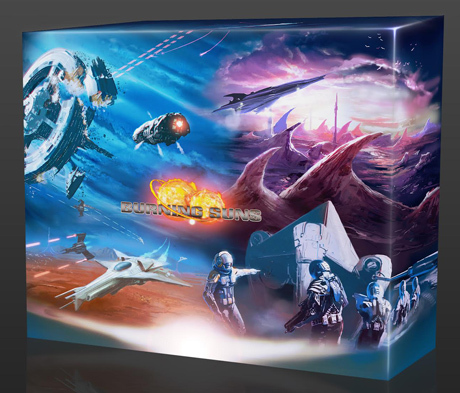 Burning Suns is an intense tactical science fiction game set in an expansive universe, where you'll be competing for supremacy through technology, diplomacy, exploitation and destruction. 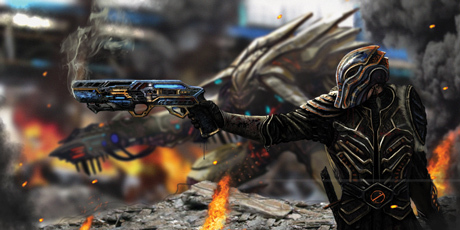 Burning Suns focus on tactical depth, thematic experiences with lots of important choices and high replayability. Genre: Tactical 4X science fiction. 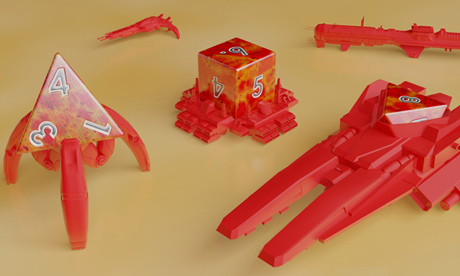 Burning Suns introduces a whole new aspect in miniatures. By integrating dice into the miniature design, you'll be able to keep track of units' health, without moving counters around or having a separate sheet. 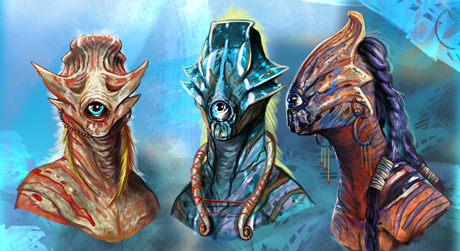 Dieships are part of the core experience, as you get more income during play you'll be able to purchase these unique fighting units. Not only do they have strong abilities that will help you out when dealing with your enemies, they also possess a lot of firepower and health. 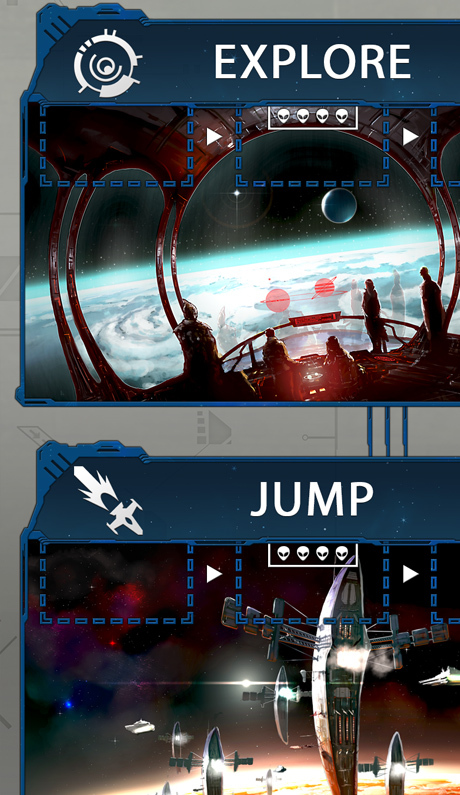 Burning Suns isn't a traditional 4X game. It takes the 4X actions and gives you complete tactical control. This means you'll have to adapt and improvise on the way to victory. A strategy can only take you this far, in the meantime you'll have to rely on your ability to analyse the situation and calculate the best possible moves ahead of you. Being able to force, trick and outmanoeuvre your opponents is key to success - Seize opportunities as they arise and don't wait for the perfect moment. It's about being proactive and reactive according to your position and the risks you're willing to take! There are 4 action boards to place your 3 leaders on to activate different actions. Your leader's strength may have an impact on your chance of conducting some actions, so planning who to place where is important, while keeping an eye on where your enemies put their leaders. There are a total of 12 actions, and the order of which they are executed each round changes, so every turn puts you in new tactical dilemmas. In Burning Suns you get to create a unique empire every time you play. With 10 ideologies, races and frameworks you get 1000 different combinations to work with. And this is not counting the 8 race cards that allows each race to make different alliances and heroic one-time events. 1) Ideology - Your empire's abilities & powers. 2) Race - Your empire's leaders, ships & troops. 3) Framework - Your empire's strengths in actions.